“There is a beauty in them that makes me ugly,” Michael Fassbender says in voiceover near the start of Terrence Malick’s Song to Song. He’s observing the relationship between the characters played by Rooney Mara and Ryan Gosling, and considering his own feelings of jealousy and his desire to intrude on that union, but I thought of this line in a different context while contemplating the reception that Malick's films have received in the past five years. 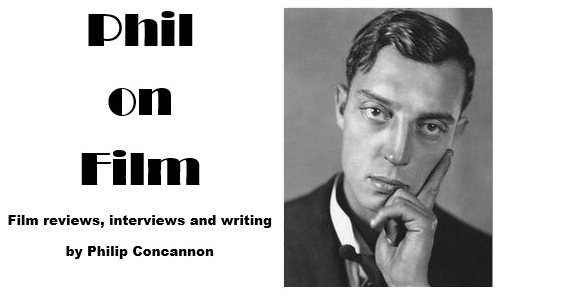 No other American filmmaker in that period has given us so many original and beautiful images, has pushed against formal convention so radically, or has chased emotional epiphanies with such sincerity; and yet, with each new release the chorus of jeers and dismissals grows ever louder. The response gets uglier every time. Song to Song is unlikely to win over any Malick sceptics, but by this point you surely know if you're into this artist's late period or you're not. Each film he makes is an evolution on the one that preceded it – a refinement of his techniques and a furthering of his experimentation – and this film now feels like it completes a powerful thematic trilogy with To the Wonder and Knight of Cups. “I was desperate to feel something real,” Mara says in voiceover, as her character Faye, an aspiring musician, wanders through decadent parties and festival throngs with her eyes downcast and earphones cutting her off from the surrounding noise – like Knight of Cups, Song to Song captures the sense of feeling completely alone in a crowd. This yearning for a connection, for something that feels real, in a world that surrounds us with shallow, fleeting pleasures, is the main recurring motif of Malick’s recent work. Perhaps this is why the relationships in his films are so tactile; the characters embrace, tumble, run, dance, and communicate through glances and gestures more than words, telegraphing their emotional states through their physicality. Via these impressionistic encounters we can discern the outline of a series of relationship arcs, involving multiple characters who come together and drift apart in a variety of ways over the course of the film. Rooney’s Faye is in love with Gosling’s songwriter BV, but she is also involved with Fassbender’s Cook, a record company mogul, whom she initially slept with in order to aid her career. Song to Song's central romantic triangle – later adorned by Cate Blanchett, Bérénice Marlohe, Lykke Li and, most affectingly, Natalie Portman – gives the film an emotional grounding and narrative shape that feels almost conventional, even as Malick's stylistic approach grows ever more audacious. These characters are sketched in – we often don't even hear their names. They represent notions of desire, disillusionment, ambition, greed, self-loathing, romance and loneliness, and he pushes these bodies together to see what sparks. I can't think of another current director who is so determined to eschew scripted actions and capture spontaneous moments on screen, and Song to Song feels exhilaratingly alive from scene to scene, as if Mara's early line of dialogue “We thought we could just roll and tumble, live from song to song, kiss to kiss,” should be taken as a statement of intent. The perspective shifts fluidly between characters (the voiceovers, interestingly enough, feel more introspective here), and the milieu jumps from the cacophony and vibrancy of a festival stage to the peaceful beauty of the beach; from the gleaming coldness of a high-rise apartment to the freedom of the open road. Even more so than Malick's previous pictures, Song to Song feels restless and untethered, as if it can float off in any direction at any moment. (The film's original title was Weightless – and the characters do indeed float in zero-gravity at one point.) Emmanuel Lubezki, shooting on a variety of formats, has again delivered some of the most imaginative and adventurous cinematography you'll see anywhere, his cameras constantly attuned to the world around him, capturing it in ways that make familiar sights seem dazzlingly strange and new. Terrence Malick's films look, sound, feel and move like nobody else's, and the sensory experience of watching Song to Song is one that will stay with you for days afterwards, its images swirling in your mind, its cuts still making the heart jump. 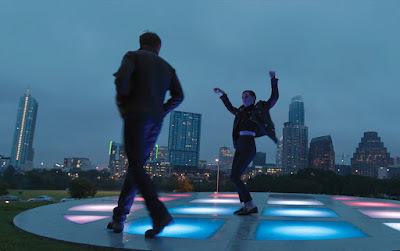 Song to Song ends with a shot of two lovers entwined beneath a setting sun, which feels like a fitting closing image not only for this film but for this whole trilogy, which has run the gamut of emotions from the pain of a breakup in To the Wonder, to feeling rudderless and hollow in Knight of Cups, to finding second chances and – finally – reconciliation here. Taken together, these three films feel like a considerable achievement, the work of an ageing artist testing the limits of the medium, trying to find new ways to express timeless and ineffable ideas, and to simply share with us his unique vision of the world. Perhaps it's understandable that so many people find his films confusing and exasperating, but it's still worth taking a chance on Terrence Malick, because when you do connect with the singular wavelength he's operating on, there's nothing quite like it.